Atlanta Boxer Rescue is a non-profit organization comprised of experienced and dedicated animal rescue volunteers, many of whom are Boxer owners themselves. They work with local animal shelters to identify Boxer dogs that need to be rescued, move those Boxers to foster homes for care and rehabilitation, spay/neuter and vaccinate the Boxers as needed, and seek qualified adopters to give those Boxers new, loving homes. 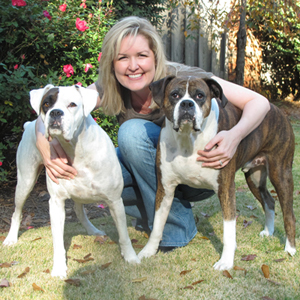 Dianne is the founder and president of Atlanta Boxer Rescue. She also serves as director of fundraising and marketing and organizes Boxerstock, ABR's annual music festival fundraiser. She maintains the ABR website, oversees our social media team, communications, marketing, and public relations and performs many business and administrative tasks for the rescue. She is currently serving as vetting coordinator as well, working with all our veterinarians and supervising the vetting needs of all our foster dogs. Dianne has organized monthly events for the Atlanta Boxer Meetup group since November 2006. She has been involved in various fundraising and volunteer events for local organizations over the past 35 years. In addition, Dianne has over 30 years of graphic design/website design experience. She has an MBA and a BFA in Graphic Design and has owned her own design firm since 1992. Dianne is currently owned by an eight year old ABR rescue named Pixie and another eight year old ABR rescue named Kayla. Kayla is also a registered therapy dog. 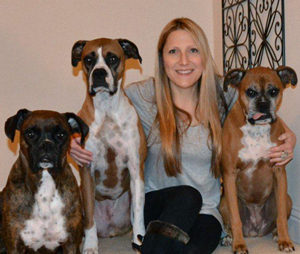 In February 2013, Dianne lost her best friend Simba, who was the inspiration for Atlanta Boxer Rescue. Dianne is pictured here with Kayla and Pixie. Angel was one of the original board members of Atlanta Boxer Rescue and continues to maintains her enthusiasm. She is the head of our intake team. Angel received a BBA in Accounting from Georgia State University and became a Certified Public Accountant in the State of Georgia in 2000. Angel has over 21 years of public and private accounting experience. She is an active member of the Atlanta Boxer Meetup Group. Angel is owned by two boxers: Molly, an 11-year old, and Lucy, an 11-12-year old rescue. In addition to board duties, Rebecca is part of our intake team and works closely with the shelters to monitor for incoming boxers. Rebecca is owned by two ABR rescues named Thor and Mia. Tiffany has been a Boxer owner/lover since 2000. Tiffany has been volunteering for the organization since January 2011, when she adopted her first foster dog through ABR. 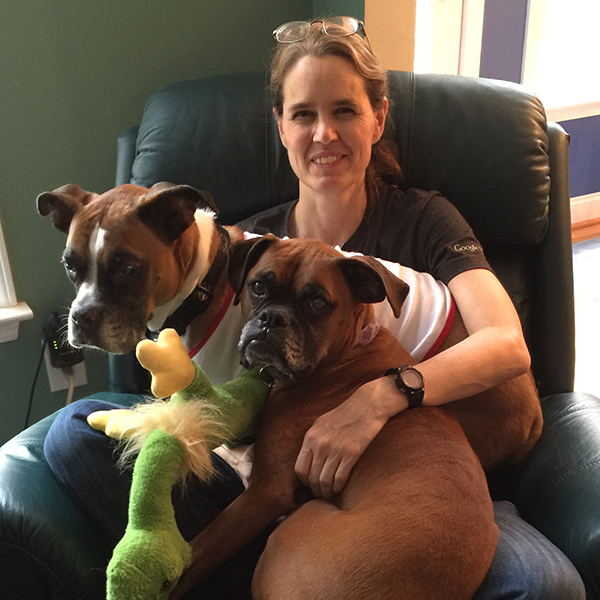 Many foster and forever dogs later, Tiffany and her husband Jeff are now owned by two ABR alum boxers: Maggie & Cody. Tiffany maintains the Amazon wish list, ABR Facebook page, and YouCaring fundraising pages. Tiffany also manages the merchandise order fulfillment and shipping processes, and our microchip orders. CJ has been a Boxer owner/lover for over six years and is also a member of the Atlanta Boxer Meetup Group. 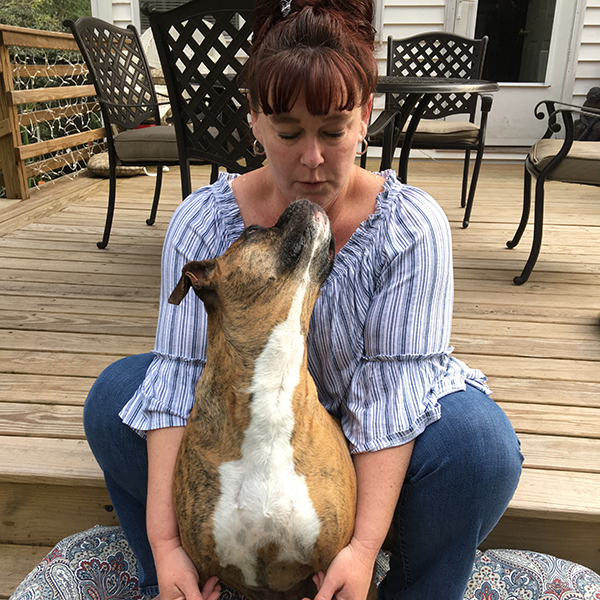 CJ has a love and passion for the breed and it has shown by her dedicated volunteering for the organization since July 2008. She has gained knowledge through her volunteering and is a great asset to the organization. CJ has a BS degree in Criminal Justice and was in law enforcement for over 17 years. She is currently employed as an insurance fraud investigator. 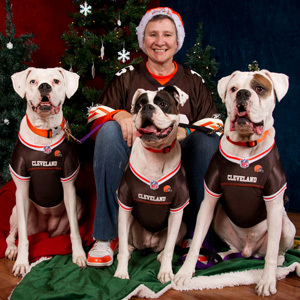 CJ is owned by 4 white boxers - 3 rescues, Bonita, Sabinov and Elvis (ABR alums), and Kosar. Fundraising Committee Members: Cindy Adler, Carol Brown, Dianne DaLee, Claudia Janka, Maureen Koscinski, Dinamarie Serrano and Mike Stern. Many more volunteers and supporters that serve as foster homes, application processors, transporters, home visitors, etc. 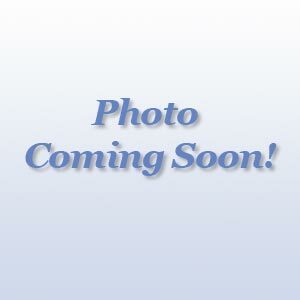 make Atlanta Boxer Rescue possible!